Location: Wisques, in the Pas-de-Calais departement of France (Nord-Pas-de-Calais Region). Ownership / Access: owned by a religious association. Notes: Abbaye Saint-Paul de Wisques is a Benedictine abbey located in Wisques, in the department of Pas-de-Calais (France). 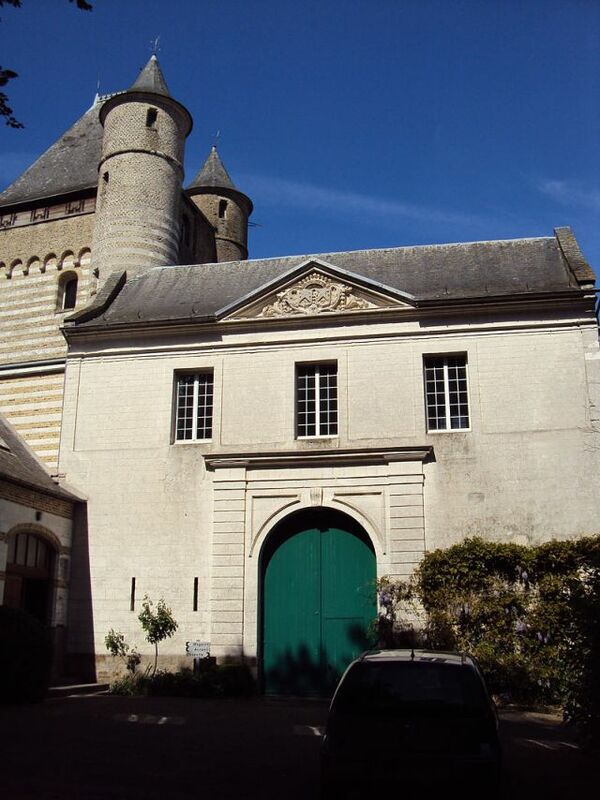 Founded in 1889, it is affiliated to the male branch of the Congregation of Solesmes in the Benedictine Confederation.The abbey was founded in 1889, when the Benedictine Abbey of Solesmes after the Our Lady of Wisques which had just been opened by the nuns of St. Cecilia of Solesmes, to serve as chaplains. The small castle opposite the cemetery is their first home: it is erected in the priory in 1894. They settled later in the great castle, they aménagèrent monastery.The monks were driven by anti-Catholic laws of 1901 and fell back to the Netherlands, where they founded the Saint-Paul abbey of Oosterhout. They obtained permission to return to France in 1920 after the First World War, during which the community paid a heavy price. The existing brick buildings were built then. Some monks were taken prisoner in 1940; all regained the abbey in 1945. The abbey was then enlarged the chapel of the monks built in 1957 and a new hotel in 1968. Monks receive for spiritual retreats and are faithful to the rule of St. Benedict, which enjoins them ora et labora. In April 2009, following the sudden death of the father-abbot of Saint-Paul de Wisques, Dom Jacques Lubrez, Dom Armand Sauvaget was appointed to fill the abbey for the prior-administrator functions, the father-abbot founder of the abbey, the abbot of Saint-Pierre de Solesmes Abbey. It was previously the cellarer of the Abbey of Keur Moussa in Senegal.